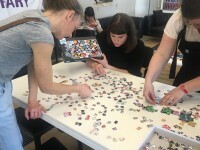 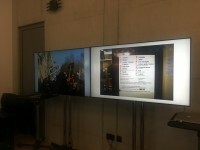 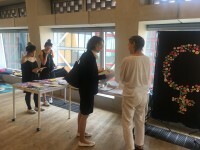 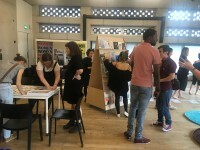 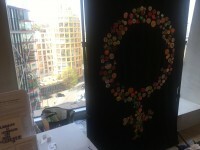 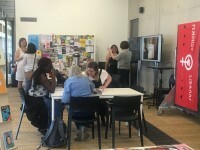 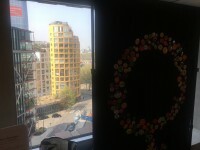 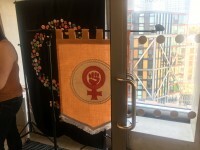 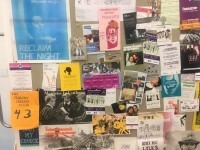 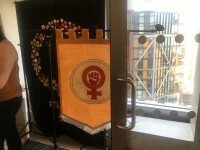 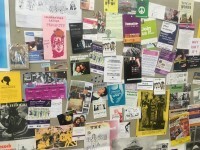 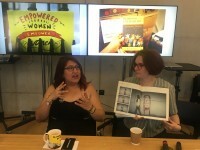 We had an amazing time taking part in Tate Exchange a few weeks ago, creating a space for herstory to be produced! 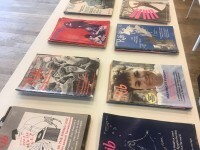 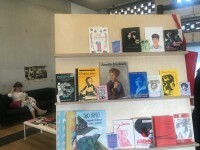 We set up a ‘pop-up Library’ space up on the 5th floor, some of the fascinating material that makes up ourarchive, and a collection of books, magazines and zines. 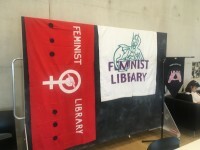 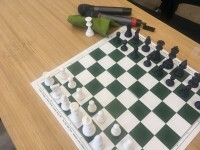 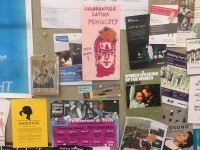 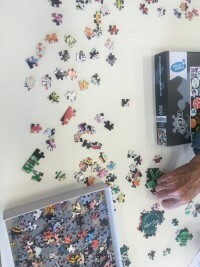 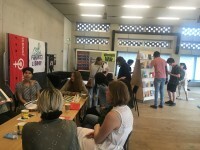 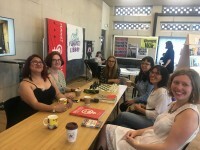 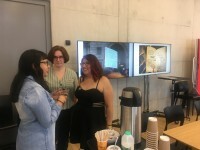 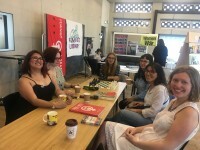 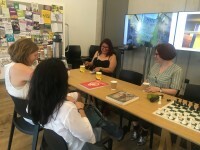 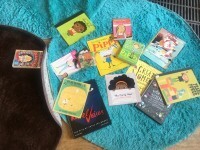 Visitors were able to relax on comfy sofas, browse through the books, or take part in feminist jigsaw making and feminist chess! 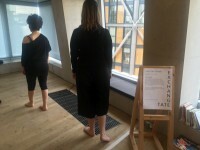 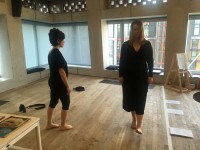 Artists Caroline Smith and Elena Molinaro engaged in a durational silent performance ‘silent stays the bird’ throughout the two days, exploring collaboration through silence. 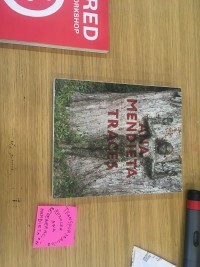 Our Spanish Language Book Club hosted a discussion on the work of Cuban-American artist Ana Mendieta. 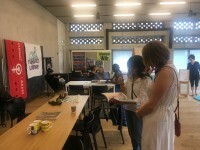 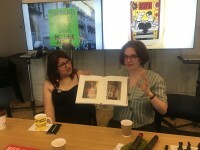 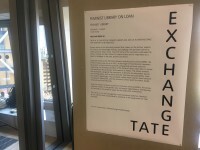 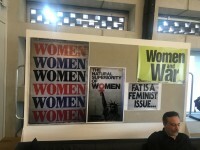 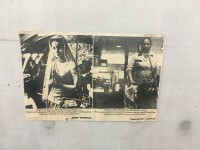 We also held a discussion on the artworks in Tate’s Feminism and Media room, which includes work by Carolee Schneemann, Valie Export, Zanele Muholi, Ana Mendieta, Valérie Mréjen and Sanja Iveković. 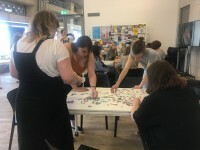 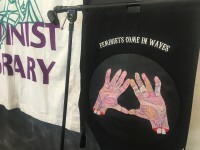 On the Sunday we held a discussion on zine making and self publishing and also hosted a performance from some of our favourite women and non-binary poets. 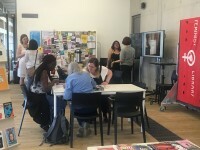 Featuring Rachael Allen, Siana Bangura, Catherine Madden, Sina Sujatha Schwache, Joelle Taylor and Jane Yeh. 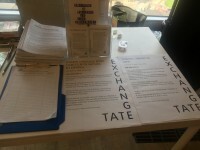 We’d like to say a big thank you to Tate Exchange and all the volunteers, artists, poets, and the Spanish Language book club who made the weekend so special.